If you're looking for a longstanding company with a good product, Bay Alarm might work for you. This company stands up well when compared against other medical alert companies. Although my grandparents still traveled around, their health was not what it once was, and I knew that they needed protection when they were home alone. I started looking into different options that would suit their needs because I knew they did not plan on slowing down anytime soon. While looking around, I came across the Bay Alarm medical alert system, and after looking it over, Bay Alarm offered many great benefits that deserved consideration. Similar to seat belts in a car or PIN codes for a debit card, medical alert systems, such as Bay Alarm, provide added security for when it might be needed. There is no guarantee that an accident will occur, but having this protection can literally be a lifesaver if faced with an emergency situation. Bay Alarm might work for you if your health is not what it once was but you are not ready to give up your freedom. That’s the dilemma that my grandparents faced when I started looking into options for them. They were both active and independent but needed an added layer of security in case of an accident, which no one should be ashamed of. After all, accidents happen. However, if your health requires more strict attention, then you should consider other options that provide more specialized care like in-home nurses. There are a few things to ask yourself when considering Bay Alarm or any other medical alert system: do you only need it while you are at home, are you often by yourself when you leave your house, what type of cellular service do you have around your home, and what would make the system convenient for you? Bay Alarm Medical is a medical company that has close to 70 years of experience. They are one of the top providers of medical alert systems, as Bay Alarm seeks to protect families, their health, and their independence. For that reason, the Bay Alarm medical alert system helps you maintain your lifestyle as you age. However, you should seek an alternative if you have any major health concerns. You can take the base station with you if you travel and plug it in anywhere that there is a landline phone jack. That way you are always protected no matter where you are. 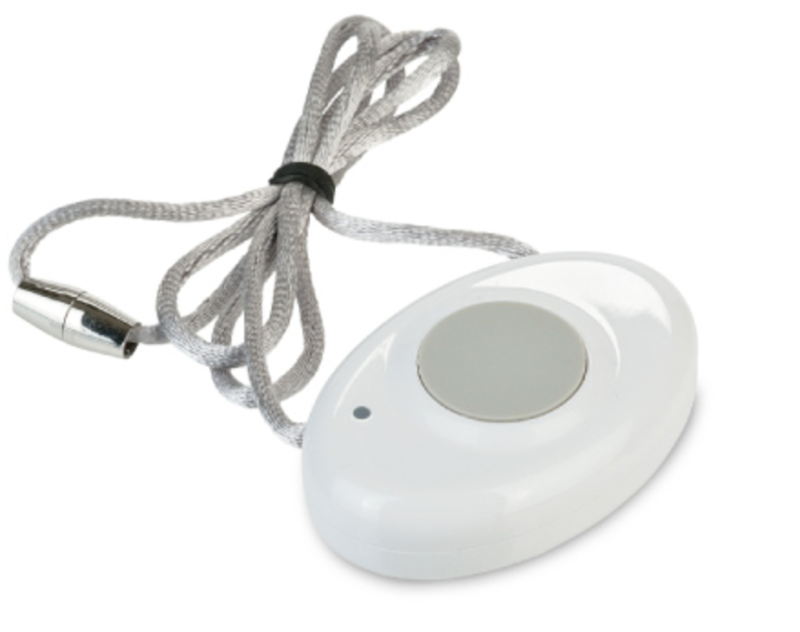 With the in-home medical alert system, you can answer phone calls using your emergency button and the base station. No need to rush to the phone. The emergency button has a 1,000 ft range, which is over three football fields. That’s a lot of area and beats out many of the other products in this field. The in-home cellular plan and mobile GPS plan use AT&T cell towers for coverage, so if your area does not have AT&T then you will not be able to receive protection for these plans. The mobile GPS is most accurate when in motion, so you will have to purchase either the in-home landline system or the in-home cellular plan to ensure you receive protection while at home. You can purchase a bundle package with the mobile GPS and one of the in-home packages. Bay Alarm Medical warns that you should not fully submerge your safety button in water. The in-home medical alert system from Bay Alarm consist of a base station and emergency button. The company provides you 24/7 help for whatever medical emergencies needs may arise. To use the in-home medical alert system, you must have a landline phone jack, and the cost is $25.00 per month. The base station has two-way communication through a speaker and microphone. You can also use this to answer the telephone when a call comes in (this meant my grandparents didn’t have to rush to the phone, which they were known to do). The base station also has a 32 hour backup battery, which is useful if your power goes out, and the battery will recharge itself when the power comes back on. As an added benefit of the Bay Alarm system, you can take it with you when you travel and plug the base unit in anywhere that there is a landline. My grandparents took trips all the time, so I always thought this feature was useful. 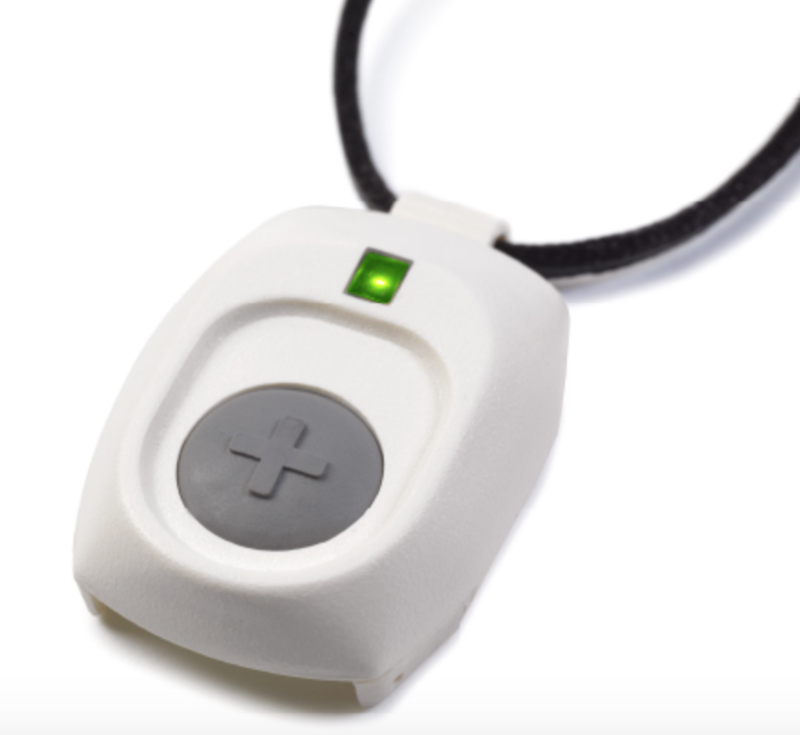 The emergency button is completely waterproof, and it comes with either a necklace or a wristband. The range for the emergency button from the base station is 1,000 ft (another good feature considering my grandfather has a 10 acre lot of land and you never know where to find him). The battery in the emergency button has a five year lifespan, and it will send a signal to the monitoring station if the battery begins to run low. Then, Bay Alarm will send you a new one. Many features for the Bay Alarm in-home cellular system are the same as with the landline system. You get the emergency button and a base station with 24/7 support. The base station for the cellular system does not require a landline jack. Instead, it runs off of AT&T service, so if you are going with this medical alert system, you will want to make sure that you have AT&T coverage in your area. You also get the 32 hr backup battery and two-way communication with the cellular base station. The emergency button works the same as with the in-home system that hooks into a landline. It has a 1,000 ft range as well. The price for the Bay Alarm in-home cellular system is $35.00 per month. 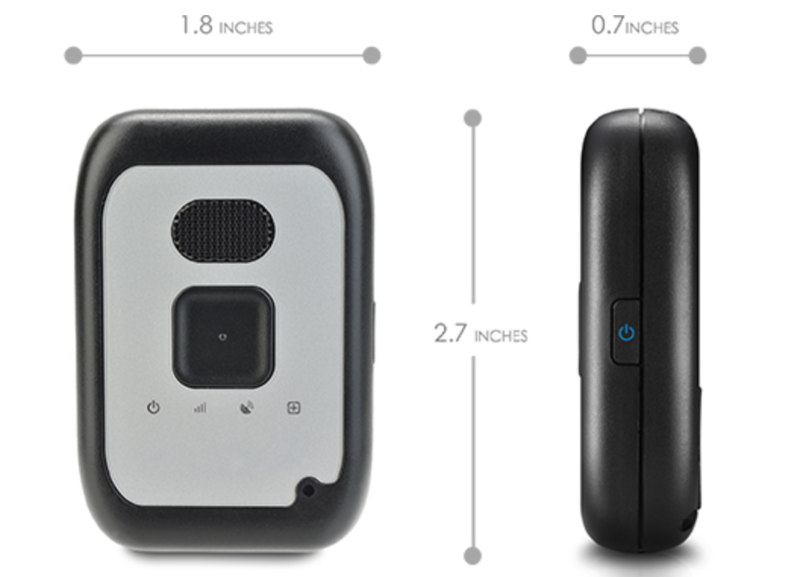 The mobile GPS help button allows you to maintain the security of being at home while on the go. It does this by tracking your location and informing emergency units if an accident occurs. With the mobile GPS help button, you are provided with 24/7 assistance and it works through AT&T coverage. As with the Bay Alarm cellular, you will want to make sure you have AT&T service in your area. 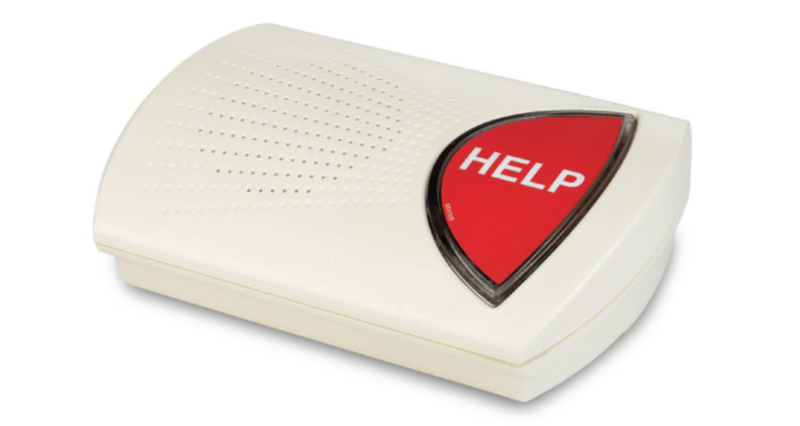 The help button has a two-way speaker for contacting the monitoring station. The battery on the help button has a 72 hr lifespan when fully charged. While the help button is water resistant, it is not waterproof, and this button does not work well while stationary. For that reason, an in-home system has to be purchased separately. The mobile GPS help button comes with a carrying case that can be clipped on your belt, which makes keeping the button on you more convenient (convenience was important for my grandfather). If you want to get the mobile GPS help button, it will cost you $25.00 a month. The fall detection button adds another level of security when deciding on what medical alarm system works for you. If you lose consciousness or are unable to press the button for whatever reason after a fall, then fall detection will notify the monitoring station, who will address the emergency and send help if needed. You can add fall detection button onto the in-home landline system or the in-home cellular system for an additional $10.00 per month. Fall detection button cannot be added onto the mobile GPS help button. The fall detection button only has an 800 ft range from the base station, so it is 200 ft shorter than the regular emergency button. The battery for the fall detection button has a two year lifespan, and it is waterproof. There is always the possibility of a false alarm, but Bay Alarm technology tries to reduce this risk as much as possible. However, quick movements like sitting or stooping can trigger the alarm. Luckily, you are not limited in the number of times that you can push the button, so a false alarm is not a big concern. If you purchase another emergency button, Bay Alarm will monitor a second person for free. With many other medical monitoring companies, you have to pay for this feature. When I was searching for a medical alert system for my grandparents, I knew that I needed two buttons, so the free monitoring was definitely a plus. 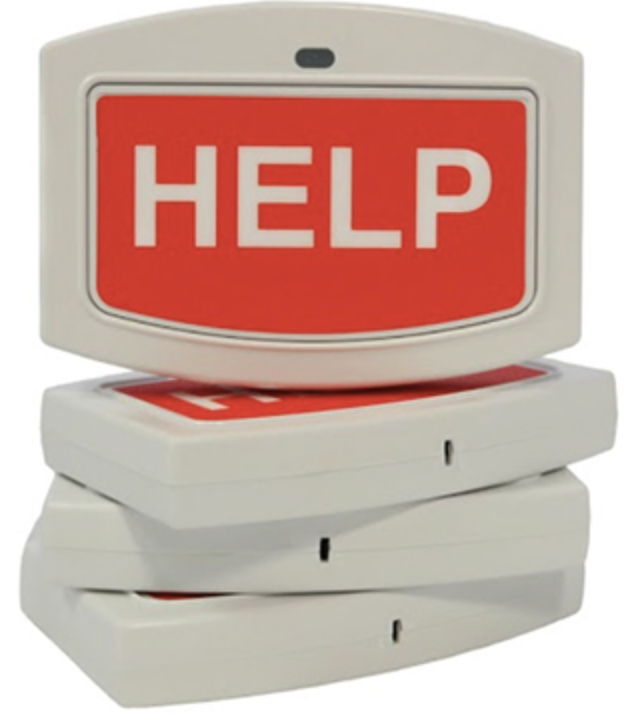 You can purchase wall buttons with Bay Alarm that can be added throughout your home. This way you are protected even if you don’t have your emergency button with you. With Bay Alarm, you provide a list of people to contact if an emergency occurs. Then, when an accident happens, they will ask you who you want them to contact. This gives you options, especially if you need immediate help from a neighbor or simply need them to contact a family member because of a minor issue. With the in-home landline system and the in-home cellular system, you get a lifetime warranty for the emergency button. This means you don’t have to worry about your emergency button malfunctioning on you. However, you should note that the mobile GPS help button only has a one year warranty, so you will have to replace it yourself if something happens to it after the year is up. Bay Alarm also offers a 14 day refund if you are not satisfied with the product, so you have time to determine if this medical alert system works for you. You can cancel your services with Bay Alarm at any time for no charge, so if you no longer need the medical alert system for whatever reason, you do not have to worry about completing a contract. With the Alert1 mobile button, you can add fall protection to your plan, but Bay Alarm does not offer this feature. Alert1 offers a 30-day trial period if you are not satisfied with the product. With Bay Alarm, you only have a 14-day trial period. 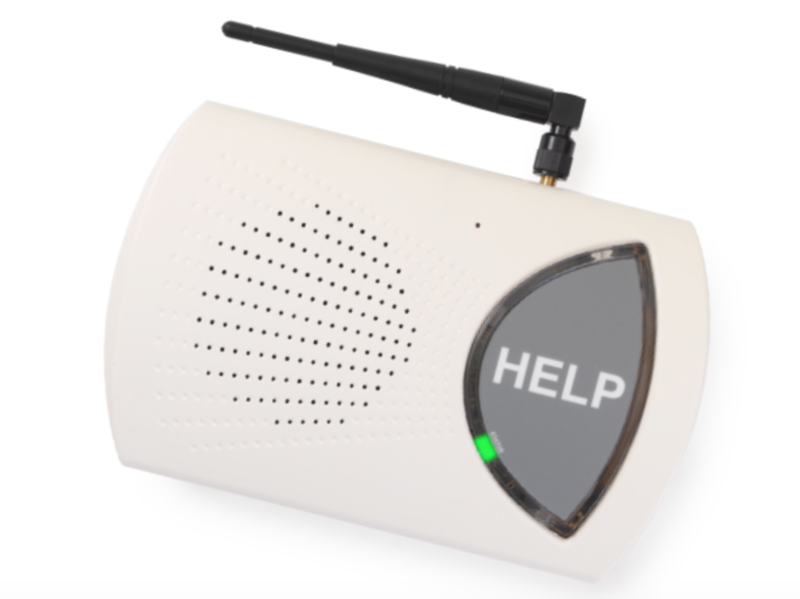 Alert1 offers a voice extender for your home, so you have two-way communication even when you are too far away from the base station to use it to talk with a care specialist. LifeStation uses the closest cell towers in your area, so it is not limited to a single cellular provider. Bay Alarm uses AT&T, which means you have to have coverage in your area. LifeStation offers Activity Assurance, which monitors your activity by requiring you to check in once every 24 hrs. Bay Alarm does not offer a similar feature. LifeStation guarantees that they will never raise the price on you. Bay Alarm does not make this same guarantee in their policy. LifeFone offers a range extension that goes up to 1,500 ft. The emergency button for Bay Alarm reaches 1,000 ft. The LifeFone emergency button is completely waterproof, where the Bay Alarm emergency button states that it should not be submerged in water. The in-home cellular plan for LifeFone costs $32.95 per month, where the in-home cellular plan for Bay Alarm costs $35.00 per month.